Binge drinking is a serious public health problem among American Indian adolescents, yet few theoretical models specific to this population and type of problematic drinking have been tested. The White Mountain Apache Tribe has begun surveillance of binge drinking and a related line of research to inform tailored prevention efforts. The goal of this paper is to use structural equation modeling to understand the relationships between different individual, family, peer, and cultural factors that predict or protect against binge drinking behavior among Apache adolescents ages 10–19 years old. A cross-sectional case–control study was completed with N = 68 Apache adolescents who required medical attention due to a recent binge event (past 90 days) and N = 55 controls with no lifetime history of binge drinking. The hypothesized model was estimated with Mplus using the WLSMV robust least squares estimator. In the final model, stressful life events were related to family functioning and peer relationships. In turn, family functioning affected peer relationships and adolescent impulsivity, which were both associated with greater risk of binge drinking. The path between peer relationships and having engaged in binge drinking was statistically significant for those expressing lower cultural identity, but not for those reporting higher cultural identity. Findings suggest preventive interventions should emphasize teaching coping skills to manage life stressors and handle impulsivity, strengthening families, and changing peer dynamics with social network-based approaches as well as social skill training. The model highlights the potentially important role of culture in strengthening positive peer relationships to reduce binge drinking risk. We are grateful to the national Native American Research Centers in Health initiative, through which grant support was received for this project from the National Institute of General Medical Science and Indian Health Service (grant U26IHS300414; Principal Investigator, Mary F. Cwik, PhD). Manson, S. (1991). Voices of Indian Teens survey (VOICES), in Alcohol Use/Abuse among Indian Boarding School Students. National Institute on Alcohol Abuse and Alcoholism grant # R01 AA 08474, Available from: http://www.ucdenver.edu/academics/colleges/PublicHealth/research/centers/CAIANH/NCAIANMHR/ResearchProjects/Pages/VoicesofIndianTeens.aspx. Moreno, M., Estevez, A. F., Zaldivar, F., Montes, J. M., Gutierrez-Ferre, V. E., Esteban, L.,…Flores, P. (2012). Impulsivity differences in recreational cannabis users and binge drinkers in a university population. Drug and Alcohol Dependence, 124(3), 355–362. doi: 10.1016/j.drugalcdep.2012.02.011. Mullany, B., Barlow, A., Neault, N., Billy, T., Hastings, R., Coho-Mescal, V.,…Walkup, J. T. (2013). Consistency in the reporting of sensitive behaviors by adolescent American Indian women: A comparison of interviewing methods. American Indian and Alaska Native Mental Health Research (Online), 20(2), 42–51. doi: 10.5820/aian.2002.2013.42. Tingey, L., Cwik, M., Rosenstock, S., Goklish, N., Larzelere-Hinton, F., Lee, A.,…Barlow, A. (2016a). 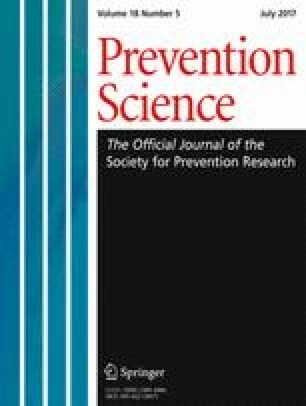 Risk and protective factors for heavy binge alcohol use among American Indian adolescents utilizing emergency health services. American Journal of Drug and Alcohol Abuse, 17, 1–11. doi: 10.1080/00952990.2016.1181762. Tingey, L., Cwik, M., Chambers, R., Goklish, N., Larzelere-Hinton, F., Suttle, R.,…Barlow, A. (2016b). Motivators and influences on American Indian adolescent alcohol use and binge behavior: A qualitative exploration. Journal of Child & Adolescent Substance Abuse, 1–11. doi: 10.1080/1067828X.2016.1210552.